Welcome to the KEMSA Store where you can purchase certification patches and pins! 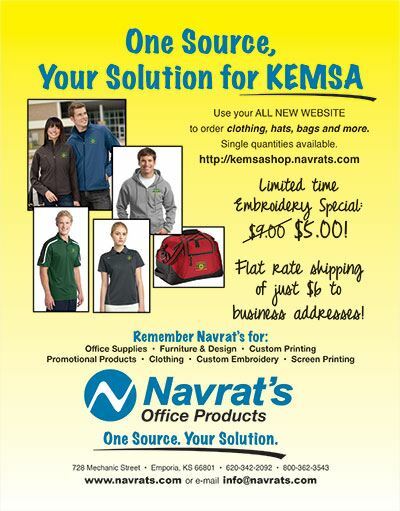 If you are interested in supporting KEMSA through the purchase of KEMSA apparel, view all our apparel options at: http://kemsashop.navrats.com/ You can order online or contact them to place an order. All items can be embroidered with the KEMSA logo (or you can order them without embroidery) and are shipped directly to you within 5-10 days. Shipping is a flat fee of $6 to businesses. 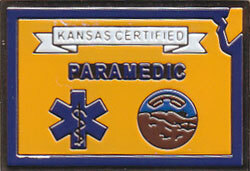 By buying KEMSA apparel, you are building awareness of KEMSA in your community and supporting Kansas EMS. Buy something for yourself, your shift partner, an employee, a friend, a relative, or buy multiple items! Place an order online using the store below to select the products you want. MEMBERS - you must login in the upper right. This extra step helps ensure that only members get the discounted prices as a membership benefit. Members can pay online or get an invoice by email. Non-members must pay with credit card before items are shipped. We try to ship all orders within 3-5 business days. *Some clearance products may have limited quantities. If you have questions or need assistance placing an order, please call KEMSA at 785-580-3459 or email mary@kemsa.org. Thanks for your support of KEMSA through your patch and pin orders!